Clowne firefighters attended a blaze involving a motorcycle and hedgerow. The fire was discovered on Highwood Lane, Whitwell, about 3.45am, today, Sunday, August 5. 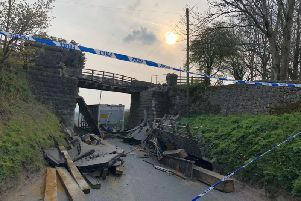 A Derbyshire fire service spokesman confirmed the fire was safely extinguished and police were also called out to the incident.